Growing up in New England, I absolutely loved autumn. I would wake up on weekend mornings, when the sun would stream through the colorful leaves and my bedroom windows to cover my bedspread in deep, golden rays. It felt magical, and it only lasted as long as the leaves stayed on the trees. When autumn ended and the last leaf turned brown and drifted from its branch to the ground, so, too, ended the magic for another year. I don’t live in New England anymore, and I didn’t look forward to my first autumn in Virginia. After years of living in a foliage paradise, I didn’t have high expectations for fall in a hotter, more humid climate. Although the trees start to change colors much later than they did in Massachusetts, I had to admit that they were just as stunning as their northern counterparts when they hit their peak. 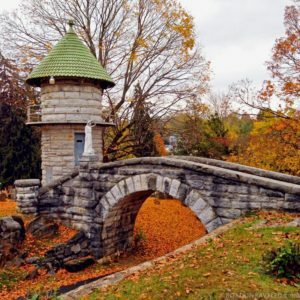 There’s still nothing quite like New England in the fall for this former Bostonian, but I find myself anxiously anticipating autumn in my new home with the same excitement I had when I was a kid. Many of the same spots that are beautiful to visit in the summer are even more gorgeous in the fall during foliage season. From scenic hikes to relaxing road trips, if you are planning a trip to check out this season’s fall foliage, here are our nine favorite spots to see it in the Old Dominion! 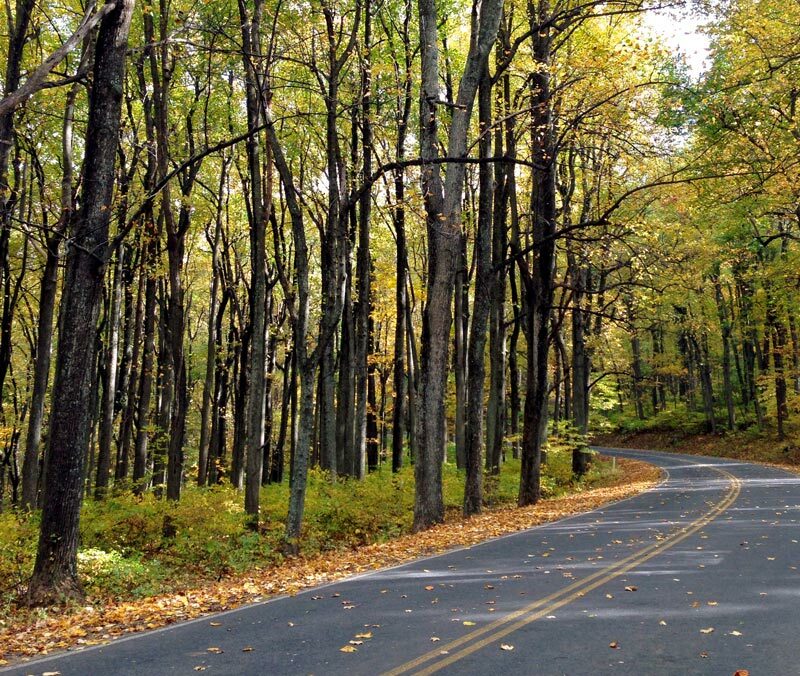 Shenandoah National Park features one of the most scenic drives along the United States’ east coast—especially during October and November. 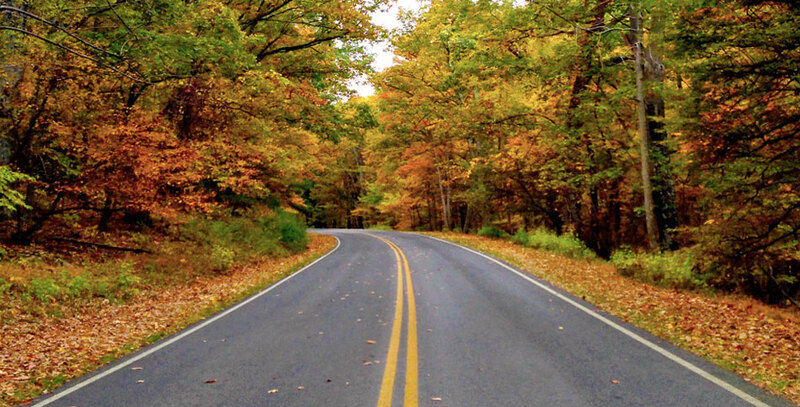 The road is called Skyline Drive and it winds along the northern section of the Blue Ridge Mountains through over 100 miles of incredible autumn scenery. Shenandoah National Park’s Skyline Drive features plenty of overlooks and hiking trails to soak up the views and take great pictures of the changing leaves. Fall is a busy time of year given how popular Skyline Drive can be even when the leaves aren’t at their peak color, but you will still be likely to find a quiet place to park and relax. Be sure to arrive with a full tank of gas, as gas stations are few and far between. Don’t forget to be on the lookout for black bears, wild turkeys, deer, and other “local residents” while you explore as well. Many animals are active during this time of year, and you’ll likely see plenty of them if you look into the woods. 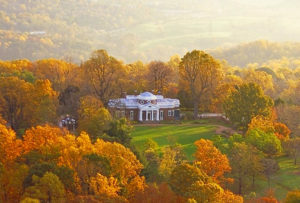 Monticello is one of the most spectacular historic homes in Virginia, and there’s no better way to see it than against a backdrop of red, orange, and yellow leaves. The former home of Thomas Jefferson (the father of the United States Declaration of Independence, the country’s third president, and founder of University of Virginia), Monticello has very rich history. It is one of only 23 UNESCO World Heritage Sites in the United States, and if you haven’t seen it in person you may recognize it as the building featured on the back of the American nickel. Before you admire Monticello’s changing leaves from the outside, treat yourself to a tour of the historic estate and grounds. 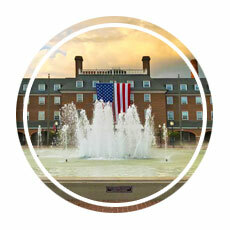 Over the course of an hour a tour guide will share information about every facet of Jefferson’s life. When the tour is complete you will be returned to the outdoors, where you can take a few iconic pictures and wonder if Jefferson himself stood in your spot and felt grateful to call such a beautiful place home. 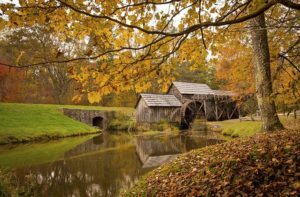 Mabry Mill is regularly advertised as a key place to watch the leaves change color, so it’s a great choice as you plan your foliage itinerary. 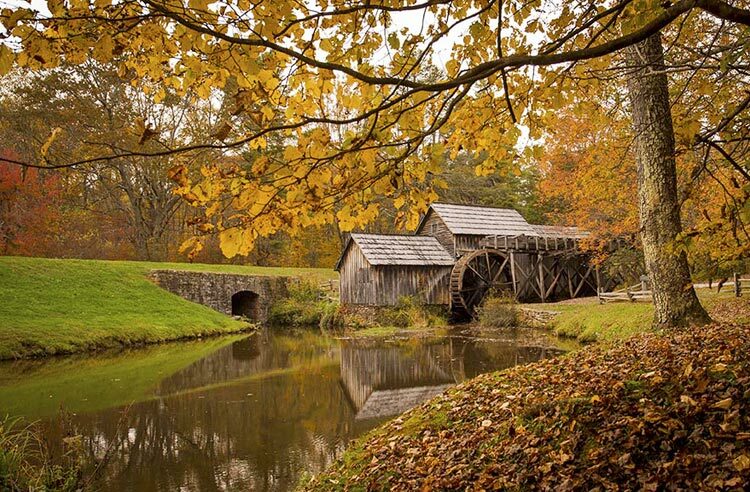 Mabry Mill is located along the Blue Ridge Parkway in southern Virginia’s Floyd County, and it makes for a picturesque setting to enjoy the foliage. The mill itself was privately owned until the 1930s, when it became part of Virginia’s park system. After getting some of the best pictures you can take, spend a few minutes visiting exhibits that provide insight into what life was like in rural Virginia a century ago. Best of all, you can make Mabry Mill a relaxing lunch stop, as they have a restaurant with plenty of comfort food options that also serves breakfast all day. McAfee Knob is one of the most heavily photographed sites along the Appalachian Trail, which stretches over 2,000 miles from the southern state of Georgia all the way up to the northern state of Maine. McAfee Knob is in southwestern Virginia and sits at an elevation of 3,400 feet. You will have to earn the views you seek, though. The hike spans about 4.4 miles, and it can take up to 5 hours to complete. It’s worth the effort, though, and you won’t be alone (it has been estimated that there can be about 100 hikers on the path at one time). The McAfee Knob summit features a 270-degree panoramic view of the Catawba Valley, making it perfect for soaking in Virginia’s autumn foliage. Be sure to pack snacks and water for the hike, and don’t leave without getting a photo on the famous ledge that sticks out over the valley. 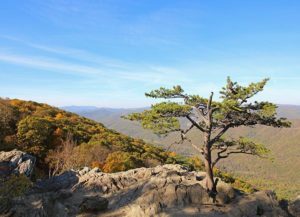 If you want to get a great panoramic photo of Virginia’s autumn colors but don’t want to do a day-long hike, Ravens Roost is a terrific choice! 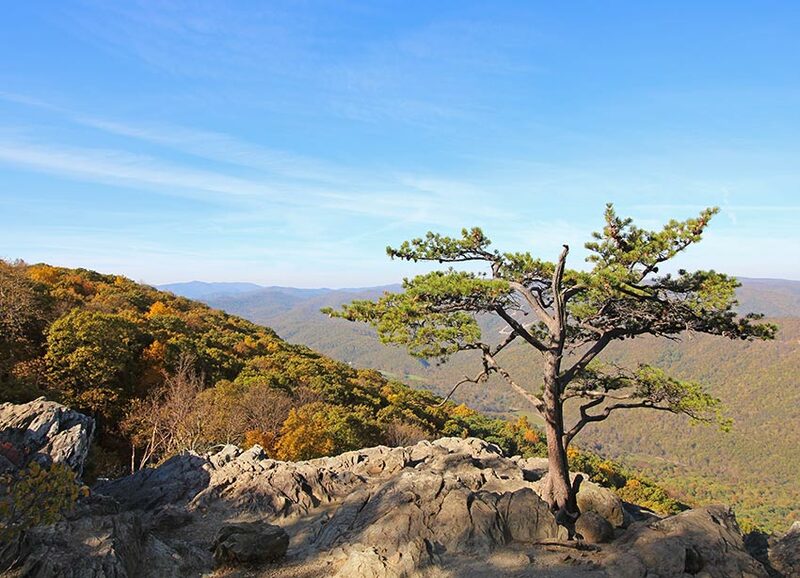 Located at a scenic overlook along the Blue Ridge Parkway in central Virginia, Ravens Roost features an iconic tree standing on a bluff looking out over a valley of Virginia foliage. While there is an entrance fee for Shenandoah National Park (which makes up the northern part of the Blue Ridge Parkway), Ravens Roost is located in a section of the Blue Ridge Parkway that does not require an entrance fee. There is a picnic table and a parking lot, but it’s easy to miss so take your time as you drive along the parkway and look for the signs. 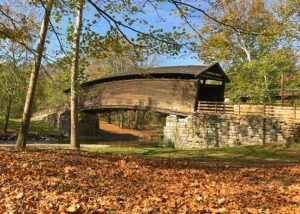 The oldest covered bridge in Virginia is even more charming when the leaves start to change, so visit the Humpback Covered Bridge for some lovely pictures. 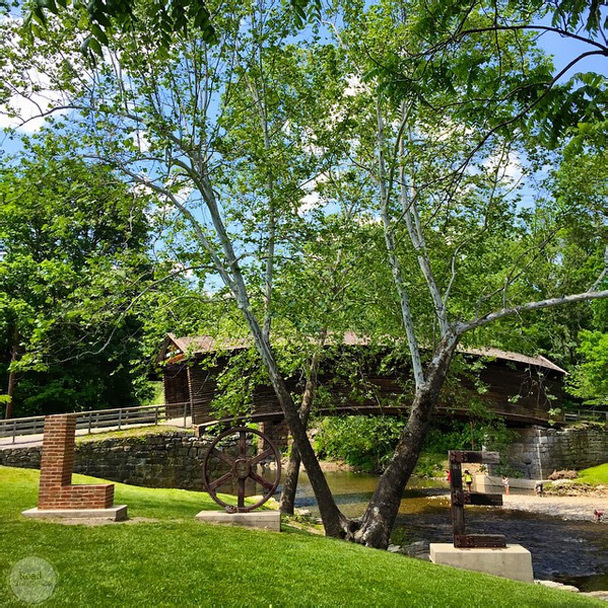 Located just off Interstate 64 in western Virginia, the covered bridge dates back to 1857 and earned its name because it is four feet taller at its center than on either end, which makes it look a bit like a humpback. There is a small park next to the bridge with a parking lot and picnic tables along the Dunlap Creek, so bring friends or family with you and make an afternoon out of your visit. Be sure to snap a photo with one of the famous Virginia “LOVE” signs- creatively blended in with the trees around the bridge. 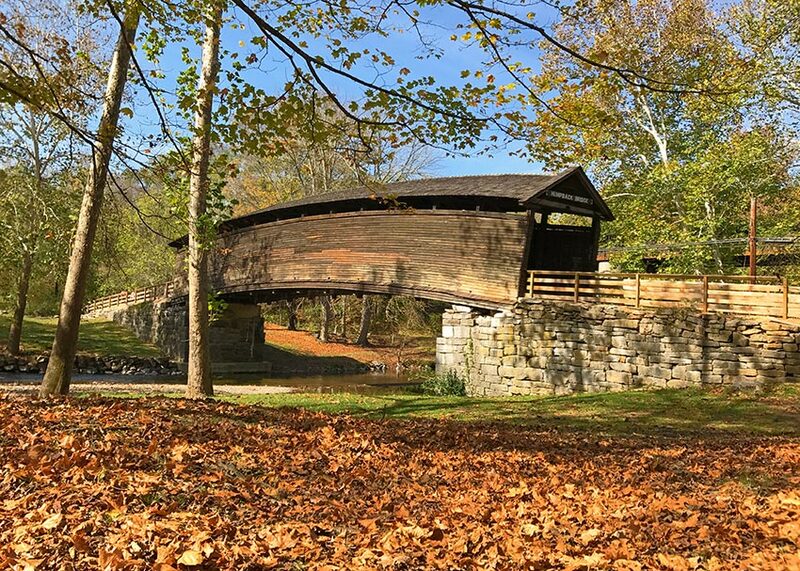 Humpback Covered Bridge is also just 20 minutes from the historic Greenbrier resort, so continue your drive through the foliage and treat yourself to a tour of the famous Cold War bunker. Thornrose Cemetery is located on the western side of the Blue Ridge Mountains in the town of Staunton, Virginia. Especially during October, when Halloween is just around the corner, it’s a slightly spooky place to admire the leaves. 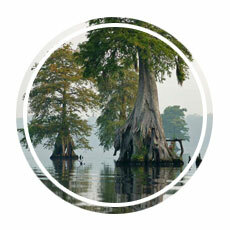 Dating back to 1848, Thornrose has strong ties to the American Civil War. Not far from the cemetery was a confederate hospital that cared for wounded soldiers. Those who couldn’t be saved were often buried in Thornrose Cemetery. 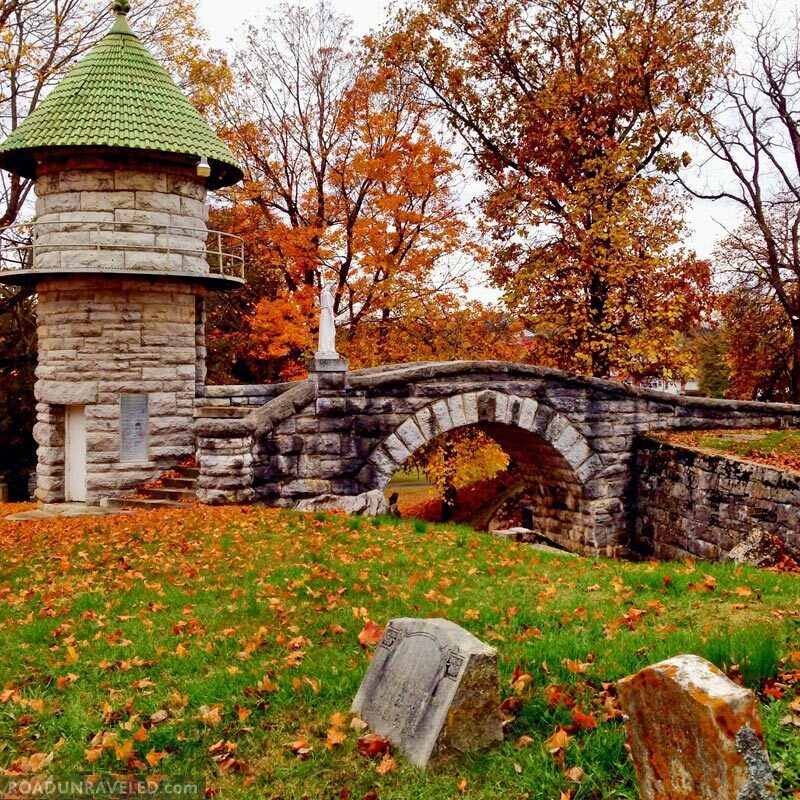 Visit just before dusk to take some foliage photos around the cemetery and stay as the last of the daylight fades from the sky for a true Halloween experience. 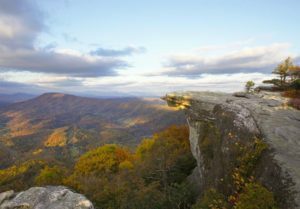 If you’re looking for a fun road side attraction to check out while you’re road tripping around Virginia to see the foliage, we recommend Big Walker Lookout in Wythe County. Take a break from driving and stretch your legs before climbing up the 100-foot tall tower to reach an altitude of 3,405 feet. At the top of the platform you’ll enjoy a 360-degree panorama of Virginia’s Blue Ridge Mountains lit up by a sea of autumn foliage. The lookout is privately owned, so consider stopping into the country store on the property to grab some snacks and say hello before you head back out onto the road. 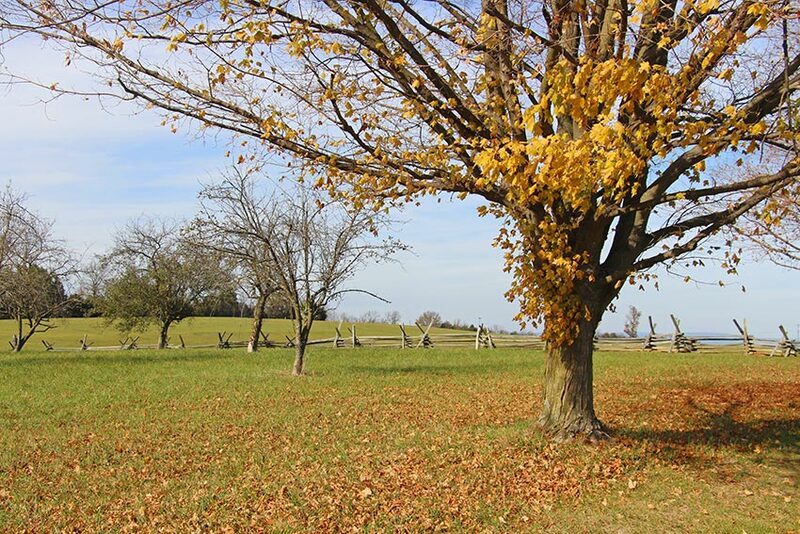 When the leaves start to change color Virginia’s historic battlefields are a terrific place to spend a few hours. 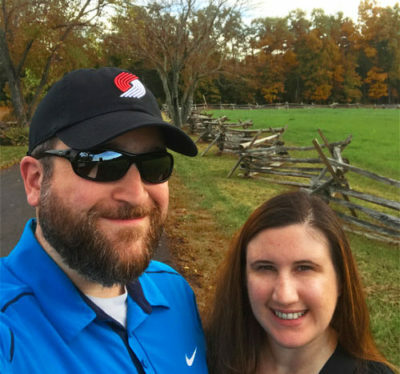 We love walking around Appomattox Court House National Historical Park, New Market Battlefield, and the trails around the Manassas National Battlefield Park, but because many of the locations are in wooded areas you should find plenty of foliage surrounding whichever battlefield you want to visit. The historic split-rail fences line all of the Civil War Battlefields and make them easy to spot as you’re driving around the state. 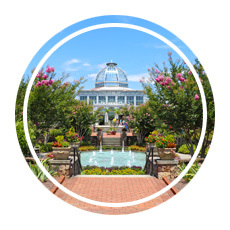 You’ll also benefit from amenities like on-site tours, picnic areas, walking trails, and park rangers who might be able to point out the perfect spot to capture a few photos. 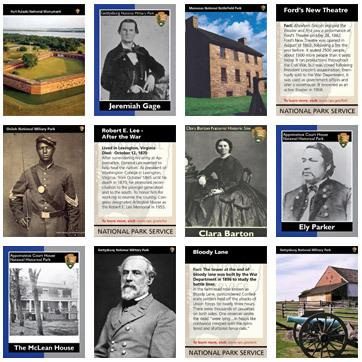 Be sure to stop by the visitor center and ask about the free trading cards. 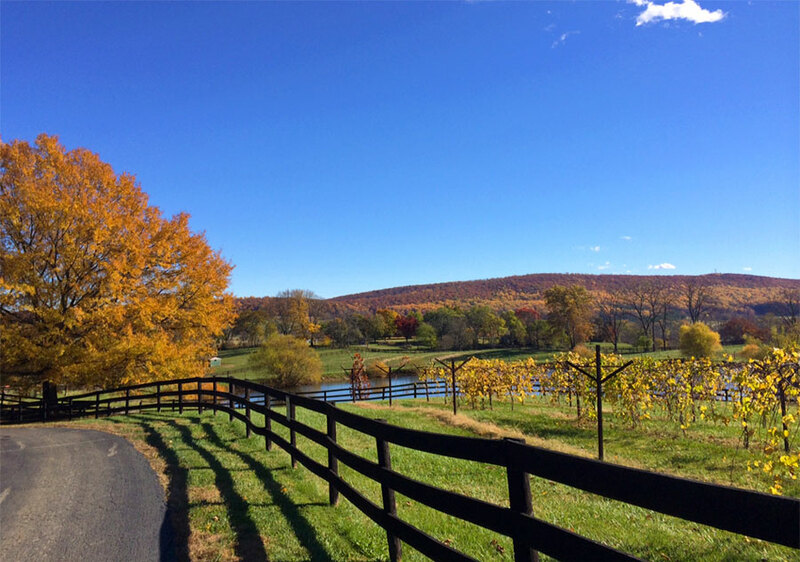 We have written a lot about Virginia’s wine scene and noted how just about every winery has some gorgeous views to take in while sipping on a glass of your favorite vintage, and fall is the best season to check out some of our favorites! Many wineries are located in or around the Blue Ridge Mountains and Shenandoah National Park, which makes them prime locations to enjoy autumn foliage. Veritas Vineyards in Afton, Virginia, Fox Meadow Winery in Linden, Virginia, and Little Washington Winery in Washington, Virginia are three of our favorite places to have a glass of wine, enjoy the beautiful scenery of wine country, and take photos of the changing leaves (and in each case their wine is worth the stop alone!). When is Peak Fall Foliage in Virginia? If you are planning a visit to Virginia to see the leaves change, the state enjoys a pretty long foliage season. Early October through Early November are typically the best times to visit for peak foliage, although changing temperatures can cause some variance from year-to-year. The first weekend after Halloween is usually a good time to go out and enjoy the foliage- the leaves should be right around their peak color-wise. If you’re looking for a more scientific estimate for peak foliage in Virginia, the Virginia Department of Forestry provides regular coverage of where the leaves are changing. 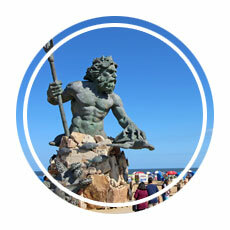 Bookmark their website to be sure you don’t miss a second of the peak season. Here is a map showing the locations of each of the places we outlined in this post. We hope this makes it easier for you to map out your own foliage adventure! 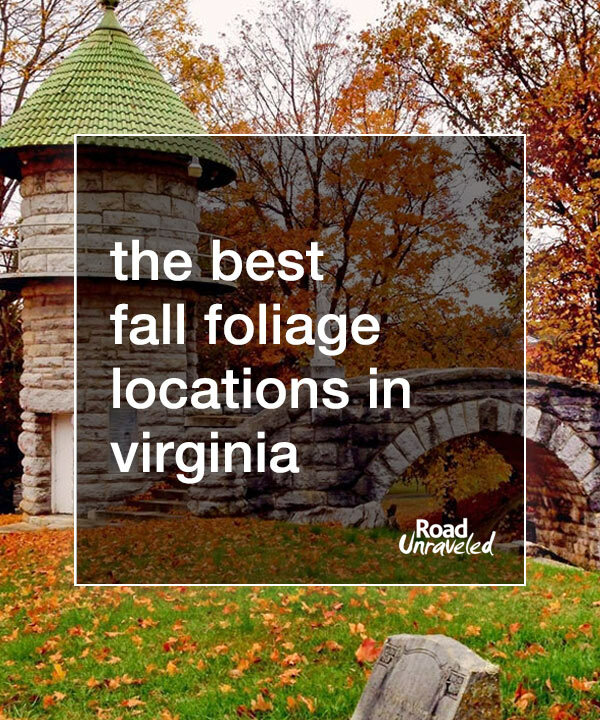 What cities in Virginia have the best foliage? 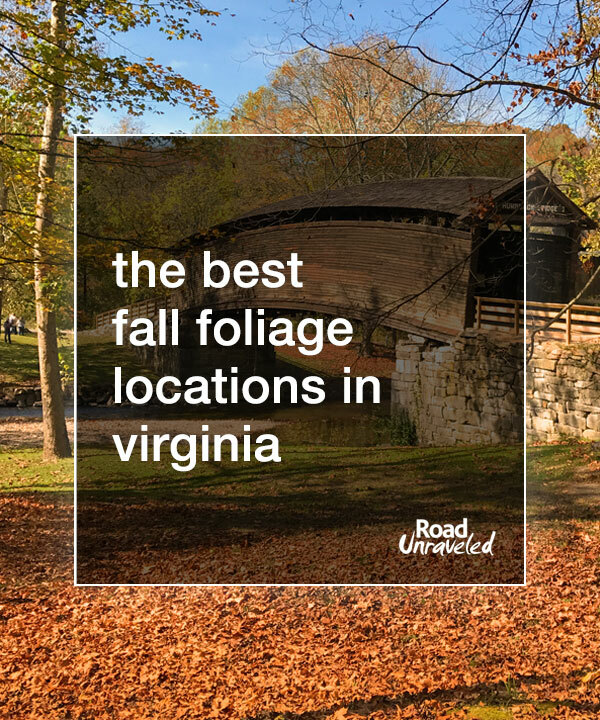 You’ll find beautiful foliage all over Virginia during the months of October and November. We’ve found the most vibrant colors around the Blue Ridge Mountains and the Shenandoah Valley, so that region would be perfect as a starting point to your journey. Are you planning a weekend trip to see the foliage and need to find a hotel? 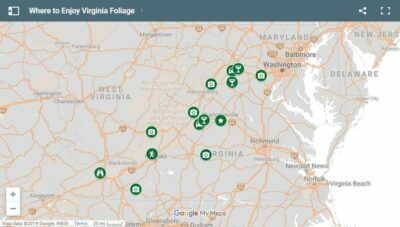 Some cities to consider would be Roanoke, Harrisonburg, Charlottesville, and Winchester, all would give you plenty of hotel options and you would be within a short drive of some of the best foliage views in Virginia. This Booking.com search tool can help you find great hotel deals, just select the city, dates, and additional info below! Whether you choose to drive, hike, or climb your way to a scenic overlook, be sure to take a few moments to really appreciate this beautiful part of the world. The colors will be gone all too soon, but the magic will always return next year.